If you’re thinking about making the move to Los Angeles, here’s something that you should know right off the bat: there is no such thing as simply moving to Los Angeles itself. Sure, you’re going to wind up in the L.A. area, but whether you’re living near downtown or you’re in a far-away suburb, you’re actually moving to one of L.A.’s neighborhoods. That’s all fine and dandy, but here’s the main issue: which neighborhood are you going to choose? 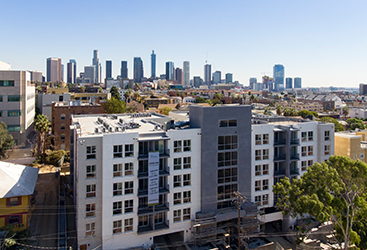 We’ll admit that when we suggest moving to the Westlake and Echo Park areas of Los Angeles — where our luxury apartments at 422 South Lake Street are located — we’re rather biased about it. 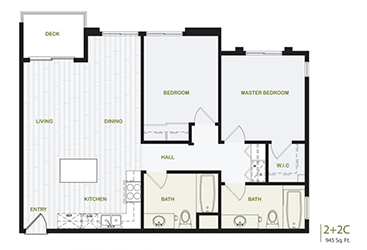 Of course, with beautiful new apartment units offered in one, two and three bedroom options complete with generous amenities all located near the heart of one of America’s very best cities, who could blame us? The Perfect Luxury Apartment Near Downtown L.A. Awaits You! 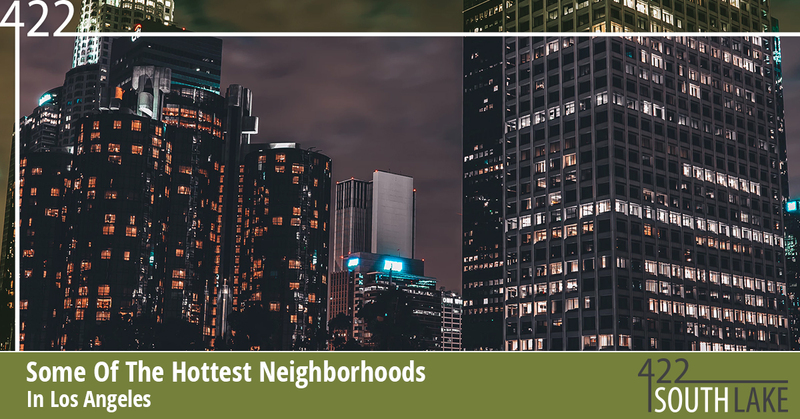 Beyond Echo Park and Westlake, 422SOUTHLAKE takes a brief look at other hot neighborhoods in the greater Los Angeles area below. For the perfect 1 bedroom apartment in Westlake Los Angeles, drop by our luxury apartment complex at 422 South Lake today. Additionally, feel free to contact us today with any questions! A place equally filled with young couples and young professionals alike, Atwater Village is ripe with rustic character. With a reasonable average one-bedroom rent cost, residents enjoy a pleasant mix of hole-in-the-wall, authentic eateries mixed with nearby chain restaurants. Close to the 5, Atwater Village provides easy access to the 134, 101, 170 and 100 freeways. Known for being one of the more “up-and-coming” hip areas near downtown (though many neighborhoods also fit that general description), Eagle Rock features somewhat of an underrated food and drink scene. With excellent spots like the Eagle Rock Brewery, Dave’s Chillin’-n-Grillin’ and even All Star Lanes (who doesn’t want a little karaoke mixed into their bowling experience?) to patronize, Eagle Rock seems to offer many reasons to leave your apartment. Though growth is starting out a little slow, this neighborhood is slated to be another major player in L.A.’s up-and-coming spots. Considered one of the most diverse neighborhoods in the area, Highland Park presents many of the same opportunities and fantastic local eateries that other neighborhoods offer, but at lower rent prices due to the lack of attention that this place gets. K-Town actually isn’t too far from 422 South Lake Street. To no surprise whatsoever, you can enjoy the very best Korean BBQ that Southern California has to offer in Koreatown. Plenty of restaurants are conveniently open 24-hours a day, and, interestingly enough, you’ll find some pretty amazing burger spots and sports bars here. With so much to do, see and experience right outside your scenic bedroom window, North Westlake is nothing shy of a stellar neighborhood to make your new home. 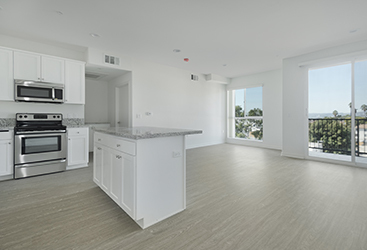 Take the next step to your luxury apartment housing success in Los Angeles by contacting 422SOUTHLAKE today!